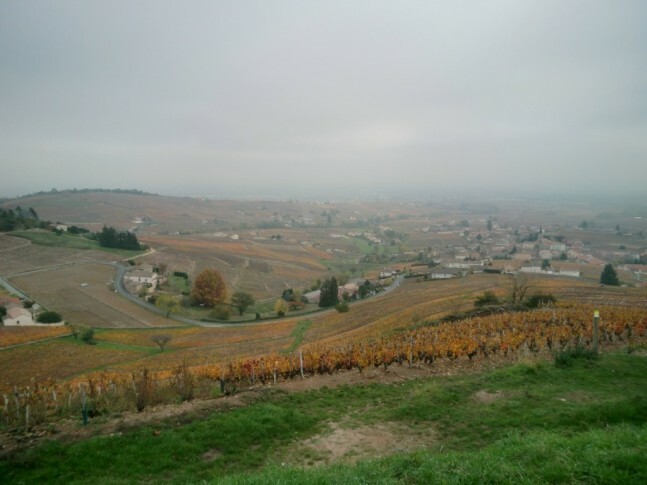 Our roving Singapore Sommelier, Shalom Chin, has drifted outside the realms and borders of burgundy to discover Beaujolais, and more importantly that there is more to Beaujolais than meets the eye. I have long been a champion of the Cru Villages wines, serious Beaujolais even if this wine of incredible charm is not meant to be too serious and has an underlying semblance of fun and enjoyment. Beaujolais Nouveau does however strike a chord for me, as it is realised on my birthday or a day or so either side, so it has become a bit of a tradition for the Wandering Palate to celebrate Nouveau release. Thsu, we will be focusing our efforts on the Beaujolais region for the week with updates from Shalom, live on the ground in the region, and I will be posting my Beaujolais choice of the Year shortly. For the love of Beaujolais. Part One of a special report. The third Thursday of November is a very special day that is celebrated in different parts of the world. The day of celebrating Beaujolais Nouveau is coming on the 17th of November this year. Throughout the world, when one brings up the subject of Beaujolais, people would refer it to Beaujolais Noveau and recognize it as a drink that conveys the spirit of conviviality. However, from my recent research trip to Beaujolais, I have confirmed my very own suspicions: Beaujolais is more than just new or nouveau. The Beaujolais appellation was first created on the 21st April 1950 but it was only more than a year later that Beaujolais Nouveau began. The international phenomenon of Nouveau did not really kick off until the late 60s when the drink was introduced to foreign markets like North America, then Australia and then Japan in 1985, slowly making its way to the rest of the world. Bottles of Nouveau were being sold and consumed everywhere. The Japanese would even pour bottles out to swim in them as part of the occasion. The future looked bright for Beaujolais, but the old adage, “what goes up must come down” still remains. The last three years have not been kind to Beaujolais due to economic downturns. Sales of Nouveau are down to half compared to 10 years ago. Growth has slowed and is about 1 to 2 % per year. The reputation of Beaujolais has had its setbacks as well. The Noveau phenomenon is considered by many Beaujolais producers to be a double edged sword. It has helped to put their region on the world map but also has also given their wines an image of cheap, quaffing stuff that cannot be taken as serious quality wine. I spoke to Daniel Bulliat, a producer himself and the president of the Beaujolais wine association. According to him, there is a good knowledge of the region but a bad image. 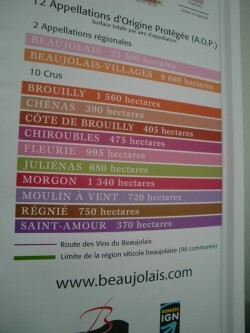 Beaujolais is in my opinion, like Tasmania. It is a real joy to drive through the land which is full of winding slopes and hills. 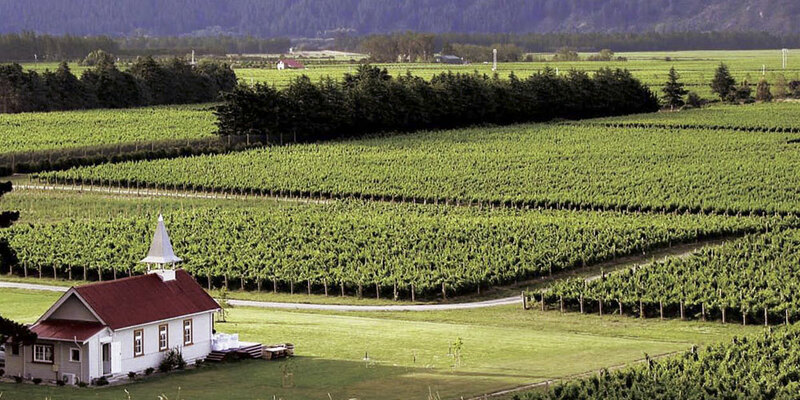 Here, vines are planted everywhere on the hills and on the flat land, regardless of its aspect. The best vineyards are planted on the slopes facing east and south. Like Burgundy, the villages have vineyard parcels with different names that go back to hundreds of years. 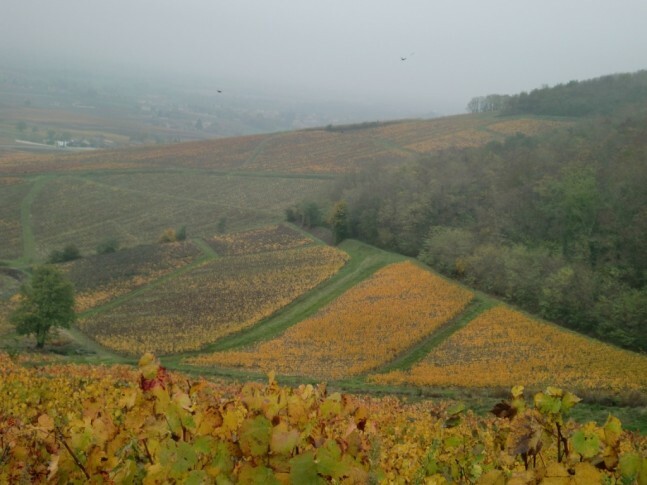 Unlike Burgundy, these individual vineyards are not classified in any 1er Cru or grand cru classes, but to their individual villages which they are in. The geography is relatively simple. To the east of the region is the river Saône which runs parallel to the region and to west is the Massive Central, the mountainous area in the middle of France. As you travel from the river towards the west of Beaujolais, you will notice more hills and the elevation rising up to 500 meters on the Mont de Broilly. Unlike the Côte d’Or which used to be submerged under the sea millions of years ago, Beaujolais was a volcanic region, explaining the lack of sea fossils here. At the west in appellations such as Côte de Brouilly, the soil is volcanic and huge black rocks of volcanic injections can be found. Granite is the primary soil of the region and is usually coloured pink. Some quartz can also be found in Chénas which is bright white in colour. This can sometimes be confused with white limestone. Nearer to the mountains, the vines are usually on steep slopes that are sometimes angled at 45 degrees.The land is extremely infertile. This is usually where all the better wines are located. Nearer to the river, the soil becomes more sedimentary and sandy with less rock, less flat. This results in more fertile soil but still with good drainage because of the sand. The grapes near the river produces wine that are less intense and less full-bodies. They usually used for the Beaujolais AOC, Beaujolais Village AOC, and Beaujolais Noveau AOC wines. The soils of Beaujolais play a more important role on the vines than the river. With the diversity of soils in this region, it is no wonder that there are 10 different village crus produced here, each with different identities. Many are familiar with Nouveau but not many realise that Beaujolais produces more complex styles than Nouveau, which are called Crus. The better wines are all produced in the north of the narrow stripe between the massive central and the rive Saône. The ten villages from south to north are Brouilly, Côte de Brouilly, Régnié, Morgon, Chiroubles, Fleurie, Moulin-à-Vent, Chénas, Juliénas and Saint-Amour. Gamay is an acidic and productive red grape varietal. All Beaujolais red wines are made from Gamay with a portion being used for rosés. 97 to 99% of the plantings here are Gamay. It is a grape which is related to closely to Pinot Noir, being a crossing. There are similarities between the wines made from these two grapes, yet, significant differences at the same time. Both wines smell of cherries and bright red fruit but on the palate, Gamay is less tannic than Pinot Noir. Guillaume de Castenau, head winemaker of Château des Jacques, owned by Louis Jadot, advised me on this. There are also small plantings of Chardonnay near the river, which are used by some estates for Beaujolais Blanc. The sedimentary soil is better for Chardonnay, which can also be of outstanding quality. In the next part, a closer look at the vines, visits to some of the top producers in the region. Plus, more on the what’s coming for Beaujolais.